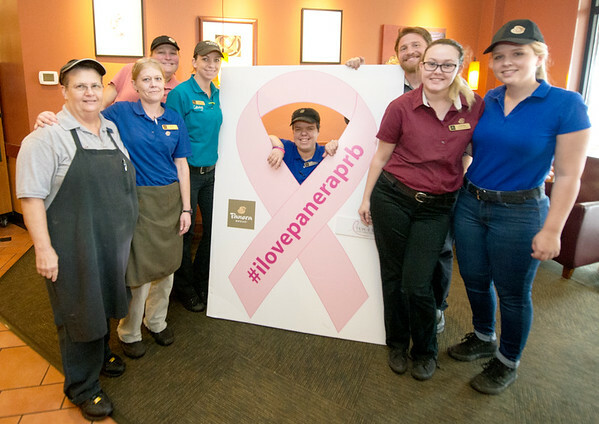 Part of the Joplin Panera Bread Company crew proudly stand beside marketing materials for the company's Pink Ribbon Bagel campaign on Thursday. The local store has repeated as national winners of pink ribbon bagels sold, besting Fort Smith, Ark. for the title.